Juicy worms - what more do you need for a hot time in the big town tonight? But perhaps your plans are not so much local street dance, but more at wilderness camping and fishing. Enter the small luxury of “Juicy Worms“. I love how Montana’s convenience stores cover all the bases - a welcome of homey flowers and anticipation of what varied customers might need. 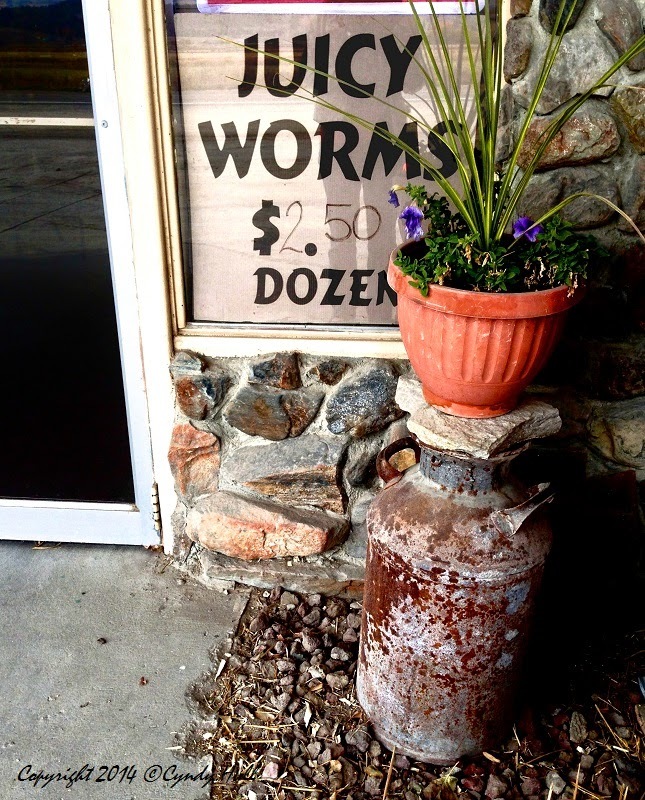 At Casey's store - just outside of Victor, Montana, on the constantly scenic Eastside Highway - you'll find fresh cinnamon rolls and locally created tamales, and everything in between - including juicy worms. Entrepreneurship is alive and well in the Big Sky state. ah, the stuff of happy memories! I remember digging in the garden for worms for my fishing brothers - I was spared the impaling-onto-hook part.